Leonardo da Vinci (1452-1519) Salvator Mundi (c. 1500) Oil on walnut panel. Private collection. Next month, the National Gallery of London will display a “previously-unknown work by Leonardo da Vinci.” Called Salvator Mundi (i.e. “Savior of the World”), the painting has been compared to surviving, fragmented preparatory drawings and undisputed paintings by da Vinci. As a result, many scholars believe it should be counted among a handful of paintings by the artist. Others doubt. 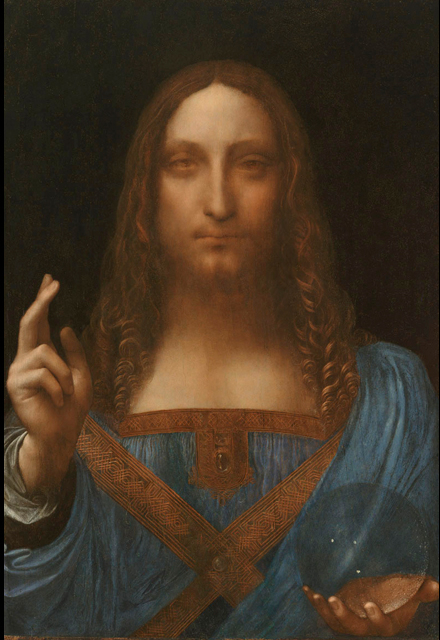 The portrait of Christ will be on display in the exhibition Leonardo da Vinci: Painter at the Court of Milan, opening on November 9 in London, for everyone to compare and opine. Before becoming Director, Mr. Penny was the Clore Curator of Renaissance Art at the National Gallery for ten years. He is a serious scholar; an expert. But, his advice here is nonsense. We may never be able to decisively attribute the painting to da Vinci–it has been over 500 years. But, we can certainly do better than stand in front of it to experience “radiated presence”–whatever that means–or take comfort in an “implied narrative.” It is the kind of non-methodical, relativistic drivel that has made art history and art historians completely irrelevant to public debate in our evidence-based era. 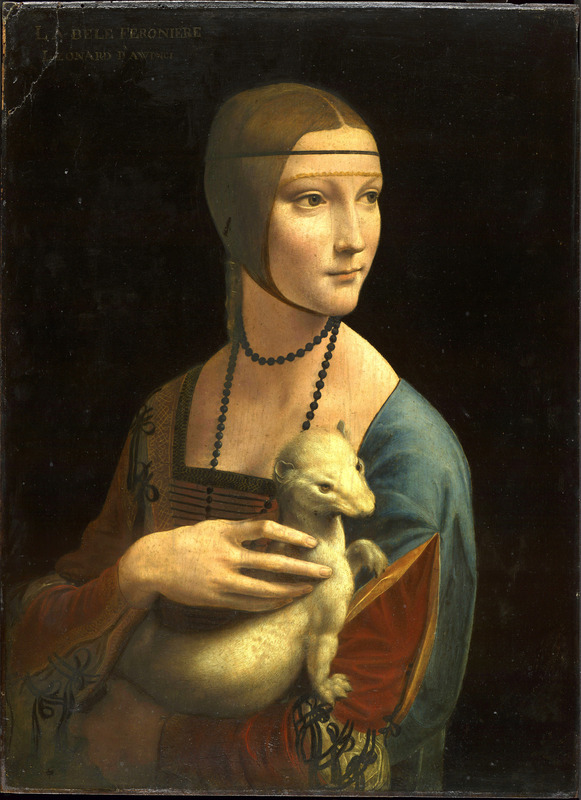 Leonardo da Vinci (1452-1519) Lady with an Ermine (1485) Oil on wood panel. 54 by 39 cm. Czartoryski Museum, Kraków. Giovanni Morelli (1816-1891) was a trained doctor who had a love of art. During his lifetime, royal and national museums sprung up throughout Europe. Many Old-Master works were placed on public display for the first time, leading to an international public dialogue on art not seen before or since. Competing for attention, these collections–sometimes of dubious origins– were often overzealous and sloppy in attributing works of art to marquee names. Paintings labelled “da Vinci” have since been downgraded to “School of da Vinci” or “Unknown Florentine Artist.” At the time, art historians, critics and collectors were anxious to divide up painters into similar Schools (e.g. Spanish, French, Neopolitan) by observations of subject, palette and, even, size. Morelli had a different approach. He suggested that the same rigorous scientific methods used in medicine (e.g. dissection and observation) be applied to the observation of paintings. In particular, Morelli believed that an artist was best known by the minute and inconsequential parts of a painting: leaves on trees, fingernails, dirt. Artists didn’t reveal themselves in the big things; but, in the mundane areas of their art that were not subject to constant reinvention. He wrote detailed treatises on the varied hand gestures of particular painters, contrasting them with others. Over time, he was considered a kind of Sherlock Holmes of painting.Though some of his attributions were incorrect, Morelli’s object-based method pre-dated many scientific tools that his nineteenth-century philosophy would have embraced. School of Leonardo da Vinci. Bacchus (c. 1510) Oil on walnut panel transferred to canvas. 177 by 115 cm. Musée du Louvre, Paris. By the early twentieth century, paintings were interpreted differently. Art was considered mostly through philosophical arguments alone, not craftsmanship combined with philosophy. Morelli was not relevant to Dadaists or Pop Artists. But, it was my belief that thos, like Mr. Penny, who continued to study art in the Classical Tradition, would retain the rigor and language of a scientific method in order to understand, preserve and teach the public about these works. I think Mr. Penny has a deep understanding–many years beyond technical possibilities of Morelli’s era–but his comments appear to indicate his lack of belief public capacity or interest to see paintings in a rigorous way. Maybe that is just my implied narrative. I wonder if this hints at the real agenda: create pop culture buzz (what better way than to tell everyone they are a part of it) hoping to parlay it into a financial payoff, and matters of scholarship be damned? I’d be interested to hear the scientific evidence mentioned, but can’t believe that the painting is by da Vinci. Would the master of composition create a flat, cramped design, with a disconnected body, and questionable fore-shortening? I don’t know the evidence against the “Bacchus”, but at least it’s a good painting. What do you think by the way? Roman, I agree with your larger point. I don’t believe in this painting as a Leonardo, though. The very unbeautiful right hand kills it for me. The almost Modigliani-like squint in the eyes, as well, which are placed fractionally too high in the skull. I actually don’t care what any authority says. If Leonardo did paint this, he should have mirror-written an apology on the back. It’s good to hear from you. I have not seen this Leonardo in person. But, I have seen several others. It is difficult to know how much of what we see is original to Leonardo and how much of it has been adjusted or lost by time. Artists from that period could be astonishingly experimental and varied in their productions. The difference between two Raphael’s a decade apart is dramatic and, were it not for rock-solid attributions–lead to the conclusion that they were done by entirely different artists. So, while I agree with you that some parts seem out of sync, it’s hard for me to feel comfortable without a full evidentiary body of proof. And, even then, there are questions. It’s nice to be back! What would be fully convincing to you, Roman? I know what you mean about Raphael — in a short life that hardly skirted middle age, then years make a big gap. Unless this work is so over-painted that we can just never know who did what, when you see some quirks that were not Leonardo’s quirks, what can one say? I know the faces of some very famous Titian nudes were over-painted, but that area is only 2 % of the total composition, and there’s so much else to look at. Here, what — apart from a Leonardesque vibe — is there to say it was painted by Leonardo? I am no expert, just an art lover, so I am sure I am short on methodology. Let’s pretend you had a Salvator Mundi that bid fair to be by Giotto. Someone could have effaced the planful, intent look of deep understanding one often sees on Giotto’s faces, but the slight arch of the wrist might still be there. How does anyone ever decide, in the absence of unusually complete histories for these works?